Mental Experience present the first ever vinyl reissue of Thomas Hamilton's Pieces For Kohn, originally released in 1976. Pieces For Kohn, as the title suggests, included four electronic pieces composed by Tom Hamilton as musical responses to 3D geometric paintings by artist Bill Kohn. A renowned audio producer and electronic composer, among other many things, you've probably have seen Tom Hamilton's name in the credits of many albums by Robert Ashley and on releases from labels like Lovely Music, Pogus Productions, New World Records, etc, Tom was first introduced to electronic music in 1965, while he was an undergraduate in Milwaukee, thanks to a lecture by Vladimir Ussachevsky illustrated with examples of electronic composers of the day: Bülent Arel, Karlheinz Stockhausen, Pierre Henry, Milton Babbitt. Encouraged by his teacher, Thom David Mason, Tom started to build audio circuits and battery-operated boxes that produced or modified sounds. In 1969, Tom moved to St. Louis. After graduating at Washington University, he was offered a job to design, purchase, and build an electronic music and recording studio there. He now had continuing access to commercially built synthesizers and by the mid-1970s, Tom found that working with electronic music was more satisfying to him than other musical endeavors. The idea for the Pieces For Kohn album came from a studio visit with St. Louis artist Bill Kohn. Tom was an admirer of his work, which combined vibrant color combinations to fulfill 3D geometric and architectural compositions in paintings, prints, and watercolors. Bill proposed that Tom composed music for his art exhibition opening at a famous St. Louis gallery and Tom decided to simultaneously release that work on LP. Tom picked four of the paintings that he liked the most and titled his four pieces correspondingly. The recording took place at the Washington University Electronic Music/Recording Studio -- the studio that Tom designed and first built in 1971 and then moved and rebuilt in 1974 (where it resides to date). The original tapes were performed at the opening of Bill Kohn's exhibit at the Terry Moore Gallery in St. Louis, in January, 1976 and then Tom did a limited pressing of the album on his own label, Somnath Records. Spaced-out bleeps and bloops, and wild ARP synth freak-outs make up this cult electronic album '70s. RIYL: Terry Riley, Morton Subotnick, Vladimir Ussachevsky. Master tape sound; Includes insert with liner notes by Tom Hamilton and photos. Mental Experience presents a first-ever vinyl reissue of this sought-after post-punk/cold wave/minimal synth 12" from Germany, 1984. Days Of Sorrow was formed in Dortmund in 1981 by a bunch of school friends influenced by the post-punk/new wave scene. A dark and powerful sound with distorted guitar, minimal synths, drum machines, cold vocals, no wonder this is one of the most sought-after minimal synth 12" from the '80s Euro scene. Remastered sound, includes insert with liner notes and photos. RIYL: Joy Division, The Cure, Fad Gadget, Sisters Of Mercy. Originally released in 1982 on the DRO label, La Marca De Anubis was the debut album by Los Iniciados, an obscure project related to legendary Spanish synth-pop band Aviador Dro. Always shrouded in mystery, Los Iniciados decided to hide their identities behind masks. The only visible and confirmed member was Arco Iris (Aviador Dro member Marta Cervera). According to rumors, behind the other nicknames were Biovac N (Servando Carballar, founder of Aviador Dro and DRO label head) and members of Spanish post-punks Alphaville. On La Marca De Anubis Jesús Arias of punk band T.N.T.) joins on electric guitar. The album was produced by Carballar and is an intriguing mélange of dark and eerie minimal synth/dark wave sounds with a post-punk edge. 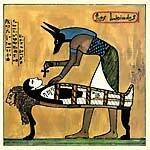 It is also highly influenced by The Residents, Dadaism, performance art and ancient Egyptian cults. La Marca De Anubis includes cult classics like "Peter Pan", "Soy El Vacío", and more. Remastered from the original tapes and presented with original artwork, a 12-page LP-sized booklet and a bonus 7" EP, El Cantor De Jazz (1982). Mental Experience present a reissue of Todo Ubu, a record of dark minimal synth electronics and experimental sounds by the mysterious project Los Iniciados, originally released in 1983. Highly influenced by The Residents, they were related to legendary Spanish synth-pop band Aviador Dro. This is their rare and sought-after second album, originally released in 1983 on the DRO label as the soundtrack to a puppet stage play, based on Alfred Jarry's Ubu Roi (1896). Presented with remastered sound with original artwork and a 16-page LP-sized insert. Continuing with their reissue campaign of the Toby Robinson's Pyramid label catalog, Mental Experience now present Temple's self-titled release. Probably the most "rock" sounding of all the Pyramid titles, Temple were an ad-hoc outfit born out of several late-night sessions at Dierks Studios (where Toby was working at that time), involving local friends of Toby and other musicians from adjoining studios, among them Zeus B. Held (Birth Control). Temple played a kind of heavy, dark psychedelic krautrock with ahead of its time proto-Goth vibe. Loud guitars, Hammond, Mini-Moog, Mellotron, distorted and echoing vocals, effects... RIYL: Amon Düül II, Hawkwind, Birth Control, Popol Vuh, Ash Ra Tempel, Emtidi... 24-bit remaster from the original tapes; Insert with liner notes by Alan Freeman (The Crack In The Cosmic Egg); Includes download coupon. LP version. Includes insert with liners notes; Includes download card. Continuing with their reissue campaign of the Toby Robinson's Pyramid label catalog, Mental Experience now present Temple's self-titled release. Probably the most "rock" sounding of all the Pyramid titles, Temple were an ad-hoc outfit born out of several late-night sessions at Dierks Studios (where Toby was working at that time), involving local friends of Toby and other musicians from adjoining studios, among them Zeus B. Held (Birth Control). Temple played a kind of heavy, dark psychedelic krautrock with ahead of its time proto-Goth vibe. Loud guitars, Hammond, Mini-Moog, Mellotron, distorted and echoing vocals, effects... RIYL: Amon Düül II, Hawkwind, Birth Control, Popol Vuh, Ash Ra Tempel, Emtidi... 24-bit remaster from the original tapes; Insert with liner notes by Alan Freeman (The Crack In The Cosmic Egg); Includes download coupon. LP version. Includes insert with liner notes; Includes digital download code which includes previously unreleased bonus tracks; Housed in a silver-mirrored sleeve. Mental Experience present the first ever reissue of Mouvements, originally released in 1973. An impossible to find artifact from the Swiss underground avant-garde scene of Geneva, originally released as a private boxset limited to 150 copies in 1973, only sold at art galleries. A unique, instrumental mix of free-jazz, classical, psych-rock, folk, improv, kraut, funk, and musique-concrete with tape effects. In the late 60s, musician/guitar player Christian Oestreicher, "a savage in the era of twist and free jazz", met artist and painter Richard Reimann, famous for his optical art, at the Aurora art gallery in Geneva. Fueled by the artistic creativity from this underground scene, where jazz and rock musicians rubbed shoulders with artists, poets, and painters, Christian ideated the Mouvements project, enrolling his friend Richard to create the artwork. Christian was a trained guitar player with diverse influences: Ornette Coleman, Chuck Berry, Zappa, Soft Machine. He envisioned Mouvements as a concept album and he asked some of his musician friends from the jazz/rock scene to join in for the recordings: among them, Jean-François Boillat (of Boillat-Thérace), Blaise Català, Jerry Chardonnens. The album sessions took place at an occupied mansion during 1972, using three Revox machines. The musicians played standing in a circle and there was lot of room for improvisation. Tape effects and a small portable synth were also used. The result was released in 1973 as a hand-numbered, deluxe boxset limited to 150 copies, including a series of Richard Reimann's lithographies and inserts. For this, the first ever reissue, Mental Experience have created a new, more affordable edition with new artwork, including an insert with liner notes and previously unreleased photos. Highly recommended if you're into avant-garde psychedelia, free-jazz, free-rock, psych-funk, kraut. Think Staff Carpenborg, Zappa, Soft Machine, Bo Hansson, The Feed-Back, Mahogany Brain, Semool, Pierre Schaeffer, the BYG and Futura labels. Master tape sound; Includes insert with liner notes and rare photos; Includes digital download code which includes previously unreleased bonus tracks, including: "Largo Pour Trompettes", "Mouvement Pour Guitare B1", "Mouvement Pour Guitare B2", and "Hard-Rock Ouverture (Take 2)". Mental Experience present the first ever reissue of Mouvements, originally released in 1973. An impossible to find artifact from the Swiss underground avant-garde scene of Geneva, originally released as a private boxset limited to 150 copies in 1973, only sold at art galleries. A unique, instrumental mix of free-jazz, classical, psych-rock, folk, improv, kraut, funk, and musique-concrete with tape effects. In the late 60s, musician/guitar player Christian Oestreicher, "a savage in the era of twist and free jazz", met artist and painter Richard Reimann, famous for his optical art, at the Aurora art gallery in Geneva. Fueled by the artistic creativity from this underground scene, where jazz and rock musicians rubbed shoulders with artists, poets, and painters, Christian ideated the Mouvements project, enrolling his friend Richard to create the artwork. Christian was a trained guitar player with diverse influences: Ornette Coleman, Chuck Berry, Zappa, Soft Machine. He envisioned Mouvements as a concept album and he asked some of his musician friends from the jazz/rock scene to join in for the recordings: among them, Jean-François Boillat (of Boillat-Thérace), Blaise Català, Jerry Chardonnens. The album sessions took place at an occupied mansion during 1972, using three Revox machines. The musicians played standing in a circle and there was lot of room for improvisation. Tape effects and a small portable synth were also used. The result was released in 1973 as a hand-numbered, deluxe boxset limited to 150 copies, including a series of Richard Reimann's lithographies and inserts. For this, the first ever reissue, Mental Experience have created a new, more affordable edition with new artwork, including an insert with liner notes and previously unreleased photos. Highly recommended if you're into avant-garde psychedelia, free-jazz, free-rock, psych-funk, kraut. Think Staff Carpenborg, Zappa, Soft Machine, Bo Hansson, The Feed-Back, Mahogany Brain, Semool, Pierre Schaeffer, the BYG and Futura labels. Master tape sound; Includes insert with liner notes and rare photos; Includes digital download code which includes previously unreleased bonus tracks, including: "Largo Pour Trompettes", "Mouvement Pour Guitare B1", "Mouvement Pour Guitare B2", and "Hard-Rock Ouverture (Take 2)". CD comes in standard jewelcase; includes five previously unreleased bonus tracks taken from the album sessions, including the 17-minute long improv monster "My Guitar Is Driving Me Mad" -- bonus tracks also included in the digital download code. Mental Experience present the first ever collected works of Guatemalan electronic experimental musician Emilio Aparicio, collecting five 45s he released from 1969-1971. Aparicio was an, a pioneer in using the Moog synth in Latin America. He released a series of private 45s, recorded at his home studio in collaboration with his patron and producer, the painter Roberto Abularach. It is from 1969-1971, when the recordings included here, were registered. Most of the tracks were written at the country house of Abularach, where Emilio built his own home recording studio and where he spent long periods of seclusion. It is in this house where they also spent weeks experimenting with hallucinogens (LSD and datura) in the company of other artists from the underground arts scene of Guatemala. 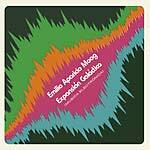 The fruit of those two years of experimentation were released in less than one month as five volumes of a 45 housed in a generic picture sleeve and titled Música Electrónica ("Electronic Music"). These strange records were given away in exchange of four corks of a local drink called Salvavidas Roja, related to Abularach's family. Most of the 45s were destroyed and recycled and soon after Emilio created another experimental project, La Banda Plástica. Aparicio's music is a fascinating blend of primitive homemade electronics with Latin influences. Imagine "Psyche Rock" era Pierre Henry (1970), Gershon Kingsley, and Bruce Haack meeting Joe Meek at the Guatemalan jungle. Emilio Aparicio passed away on 2012. Remastered sound; Insert with rare photos and liner notes by Ruffy Tnt (Discodelic). Homespun psych-punk-garage-pop from 1985. Over a decade ago, Steve Krakow, aka Plastic Crimewave, found a cassette by a mysterious '80s band called In Time at a Chicago thrift shop. When he returned home and listened to it, he was amazed: "I had flashes of the TV Personalities (one of my fave 'DIY; bands), early 'paisley underground' like Three O'Clock (maybe when they were the Salvation Army), wobbly but illuminated '60s folk-garage like Faine Jade, and even first wave UK punk like Subway Sect or yes, thee Pistols. There were even jagged post-punk moves ala the Swell Maps or Scrotum Poles, outrageous phasing, trumpet, and something lacking so deeply in bands today... PERSONALITY." Obsessed with it, Steve tracked down one of the band members in Pennsylvania and found out that there was more unreleased stuff. So here's the first ever In Time vinyl LP, including most of the songs from their ultra-rare cassette plus previously unreleased tracks. Like Steve says: "self-depreciating jangle-pop, furious power-chorded decrees, full-tilt psychedelia, experimental texture pieces--and actual tunes that will burrow into one's skull for weeks." RIYL: TV Personalities, Swell Maps, Three O'Clock, Faine Jade, lo-fi psych, DIY, Messthetics. Remastered sound; Insert with liner notes by Steve Krakow (Plastic Crimewave); Includes download card. 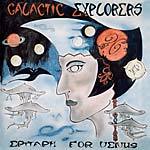 Mental Experience present a reissue of Galactic Explorers' Epitaph For Venus. Another album from the Pyramid label shrouded in mystery and produced by Toby Robinson in Cologne, circa 1974. Kosmische and head sounds with plenty of Minimoog, analog synths/keyboards, effects, loops, tape manipulation, treated percussions, etc., courtesy of Galactic Explorers, an electronic, minimal, ambient krautrock trio featuring Reinhard Karwatky (Dzyan). Take a trip to the inner regions of your mind, see ancient solar systems forming, and listen to cosmic winds and vibrations while sine waves of pure bliss will give you total peace of mind. RIYL: Terry Riley, Popol Vuh, Sand, Peter Michael Hamel, Tangerine Dream, Baba Yaga, Cluster, Cozmic Corridors, Brainticket. 24-bit domain remaster from the original tapes; Insert with liner notes by Alan Freeman, head boss at Ultima Thule and author of The Crack In The Cosmic Egg (1996). Mental Experience present an expanded reissue of Voigt/465's 1979 album Slights Spoken, titled Slights Still Unspoken (1978-1979). Formed in Sydney in 1976, Voigt/465 was a truly unique band from the exciting days of the Australian post-punk scene. Heavily influenced by such luminaries as the Velvets, Stooges, Syd Barrett, Pere Ubu, Can, Faust, Henry Cow, Slapp Happy, and Eno's Roxy Music, they created an abrasive sound in which krautrock, DIY, avant-garage, post-punk, psych, art-rock, and free improv-noise combined to form a sound unlike any other. In 1978, they released one of the first DIY 45s from Australia, State/A Secret West, which showed their "pop-psych" side and was played by John Peel in the UK. The following year, their bass player Lindsay O'Meara decided to leave the band and join Crime & The City Solution in Melbourne. Before parting ways, Voigt/465 decided to record one last album as a testament. Slights Spoken saw the light in 1979 and it's without doubt one of the most fascinating albums from the post-punk/DIY era. The entire album is featured here, including the two tracks from their first 45. Includes download coupon which features three live tracks from '78-79, including killer covers of Faust, Can, and Roxy Music. RIYL: Can, Faust, Pere Ubu, Roxy Music, Family Fodder, The Homosexuals, Slapp Happy, This Heat, Pop Group, Primitive Calculators. Remastered sound; Insert with rare photos and liner notes by band member Phil Turnbull. 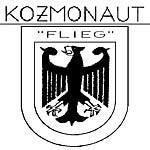 Mental Experience present a reissue of Kozmonaut's Fleig, originally released in 1986. 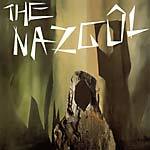 Ultra-rare DIY minimal/synth-pop/industrial/dark wave album. 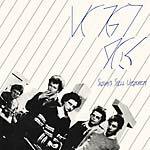 Kozmonaut was the personal project of a young and talented Canadian musician called Michael Gutierrez, who moved to San Francisco in the early '80s. Influenced by Kraftwerk, German culture, and electronic music, Michael recorded the Flieg album all by himself at his garage studio, using the pseudonym of Hans Schiller. 1000 copies were pressed on his own label, Vier Productions Inc., but they were never distributed or sold at the time, with virtually the entire pressing being discarded, as Michael, a perfectionist, was not satisfied with the spelling mistakes on the cover, among other things. In 1989, Michael, along with Pieter Ziegelmeier, formed the famous industrial/electronic band Kode IV. Sadly, Michael contracted AIDS and passed away in 1994. All the contents of his garage (tapes, albums, synths, and recording equipment) were sold for cheap or ended up in the street. Fast forward to 2010: An adventurous record hunter (Christian Peintner) finds a copy of Flieg at a thrift shop in San Francisco. At first, he thinks it's a German album but after some investigation, he discovers the name of Michael Gutierrez which leads him to Kode IV and then to Peter Ziegelmeier. He visits Peter who tells him the real story of Michael Gutierrez. Flieg is an excellent album, a crossover of a wide range of styles from early industrial (paving the way for Michael's later sounds with Kode IV), to synth-pop, experimental electronics, ambient, and dark wave. Michael uses the vocoder very effectively and for one of the songs, "Tidal Meditation", he recorded the Golden Gate Bridge fog horn to use as a sample. Original artwork, with spelling mistakes corrected; Insert with liner notes; Includes download coupon. LP version. Includes download coupon. Mental Experience present an expanded reissue of Voigt/465's 1979 album Slights Spoken, titled Slights Still Unspoken (1978-1979). Formed in Sydney in 1976, Voigt/465 was a truly unique band from the exciting days of the Australian post-punk scene. Heavily influenced by such luminaries as the Velvets, Stooges, Syd Barrett, Pere Ubu, Can, Faust, Henry Cow, Slapp Happy, and Eno's Roxy Music, they created an abrasive sound in which krautrock, DIY, avant-garage, post-punk, psych, art-rock, and free improv-noise combined to form a sound unlike any other. In 1978, they released one of the first DIY 45s from Australia, State/A Secret West, which showed their "pop-psych" side and was played by John Peel in the UK. The following year, their bass player Lindsay O'Meara decided to leave the band and join Crime & The City Solution in Melbourne. Before parting ways, Voigt/465 decided to record one last album as a testament. Slights Spoken saw the light in 1979 and it's without doubt one of the most fascinating albums from the post-punk/DIY era. The entire album is featured here, including the two tracks from their first 45. Includes download coupon which features three live tracks from '78-79, including killer covers of Faust, Can, and Roxy Music. RIYL: Can, Faust, Pere Ubu, Roxy Music, Family Fodder, The Homosexuals, Slapp Happy, This Heat, Pop Group, Primitive Calculators. Remastered sound; Insert with rare photos and liner notes by band member Phil Turnbull. Mental Experience present a reissue of Golem's Orion Awakes. Orion Awakes was recorded and produced circa 1976 by Toby Robinson, aka Genius P. Orridge, while he worked as second engineer at the famous Dierks Studio in Cologne. Memories from those hazy times are sketchy, but all evidence leads you to believe that the musicians featured here were well-known names from the kraut scene working under pseudonyms, recording 100% underground, non-commercial music under Toby's guidance, just for fun. Apparently, Orion Awakes was released as a very limited hand-made pressing housed in a silver foil sleeve on the Pyramid label, which was run by Toby and his friend Robin Page, the Fluxus artist. No original copies have ever been found. The fascinating liner notes by kraut expert Alan Freeman talk about seeing an original copy of Golem at a record shop in Germany many years ago and he also sheds some light on who could be the real musicians involved, as well as discussing the controversial story of the Pyramid label and the accusations of Golem being a manufactured '90s "fake" instead of a real vintage '70s recording. A glorious blend of space-rock, kraut, and psychedelia, courtesy of the mysterious Golem -- Plenty of Hammond organ, analog synths, ripping guitar, effects, trippy jams. RIYL: Gila, Mythos, Guru Guru, Cosmic Jokers, Novalis, Neu!, Hawkwind, Brainticket, My Solid Ground, Pink Floyd. "Legitimately tripped out, fans of the Cosmic Jokers could certainly get behind this one." --Angela Sawyer (Weirdo Records) Includes download coupon; 24-bit domain remaster from the original tapes; Housed in a silver foil sleeve; Insert with liner notes by Alan Freeman (Ultima Thule/The Crack In The Cosmic Egg (1996)).